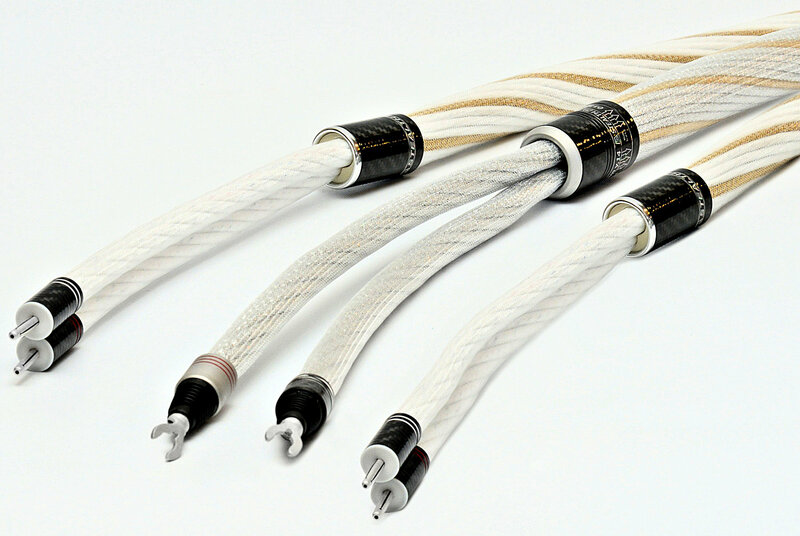 There are two versions of the Dream Petite V16 loudspeaker cables: the standard V16, and the user-tunable V16-T. The ONLY difference between the two is the tuning collar*** on the V16-T version. 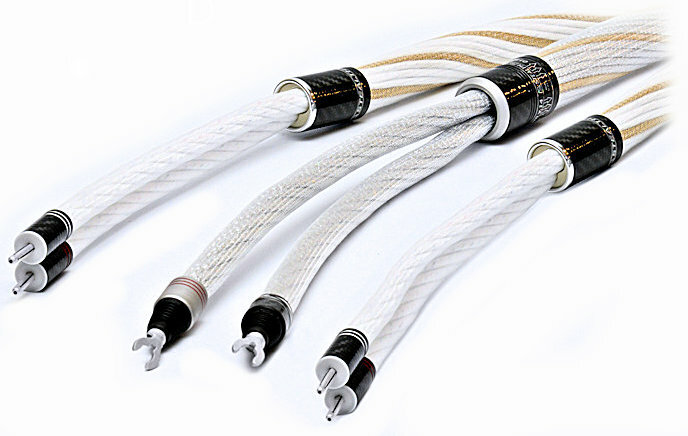 The Dream Petite V16 stereo set consists of two round cables - which are 31.75 mm (1 and 1/4 inch) in diameter. The cables split at the ends into positive and negative runs. Each wire assembly is approximately 6 mm (a bit smaller than 1/4 inch) in diameter, made of 8 individually insulated solid core wires in our proprietary non-resonant distributed LITZ configuration; two different thicknesses (gauges) of 99.99% pure solid core copper, and two different gauges of 99.997% pure solid core silver are used - per each wire assembly. 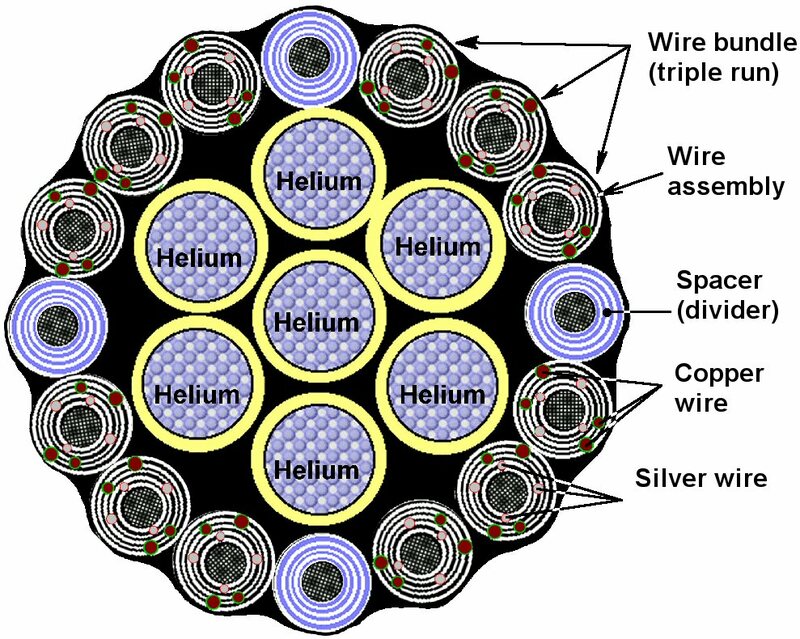 The spacers have the same diameter as the wire assemblies, i.e. 6 mm (roughly 1/4 inch). Suggested retail price for the STANDARD (non-tunable) Dream Petite V16 is $7,800 for a 2 meter pair, and $4,400 for each consecutive meter. Suggested retail price for the USER TUNABLE Dream Petite V16-T is $8,300 for a 2 meter pair, and $4,400 for each consecutive meter.